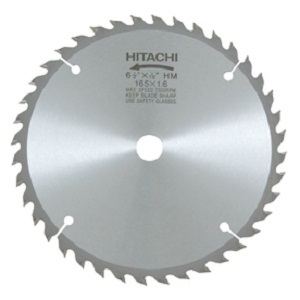 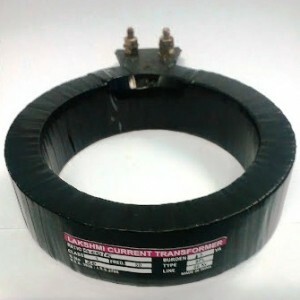 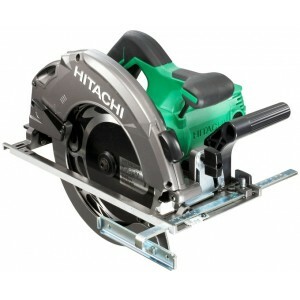 Hitachi TCT Circular Saw Blade 110mm 40tSpecifications :Bore Diameter : 20 mmBrand Name : Hitachi Diameter : 110 mmNumber of Teeth : 40Part Number : 401987Thickness : 1.5 mmTSIN : T02HIT0244 Material - Tungsten Carbide teeth &a..
Dewalt DW8500 Diamond Chop saw wheel 14inch Diamond edge provides 100x the life vs standard Dewalt chop saw wheelAdvanced brazing technology cuts metal with the speed of a conventional abrasive bladeSteel blade core provides constant cutting de..
Bosch Diamond Cutting Disc 105mm Used for cutting Concrete, Marble, Granite, Cellular concrete, Clay Brick, Plaster, Wall chasing, Pumice, Gypsum, Eternit, Sand lime brick, Sandstone, Natural slate, Artificial stone, lime flooring ..
Hitachi TCT Circular Saw Blade 190mm 40t OD - 190mmm (7-1/2inch) Thickness : 1.6mm Bore dis - 20mm No. 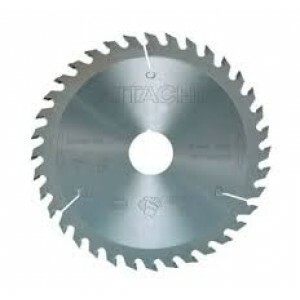 of teeth - 40 Material - Tungsten Carbide teeth & HSS wheel ..
Hitachi TCT Circular Saw Blade 190mm 40t OD - 190mmm (7-1/2inch) Thickness: 1.6mm Bore dis - 20mm No. 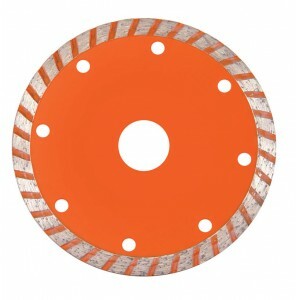 of teeth - 40 Material - Tungsten Carbide teeth & HSS wheel ..
Escon 4" Continous rim Diamond Blade for brick wall cuttingThis diamond masonry blade has a continuous rim for dry cutting tile and masonry with our . 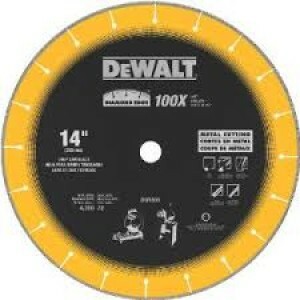 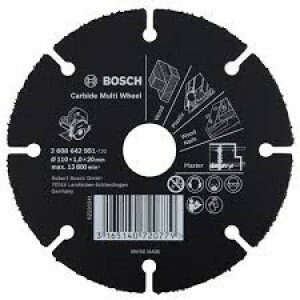 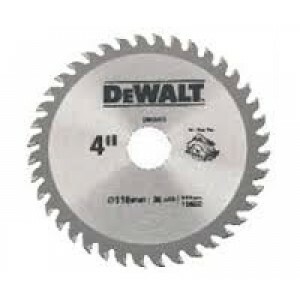 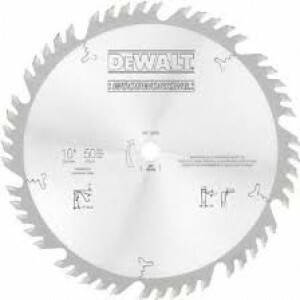 The steel saw blade has a bonded diamond edge designed for speeds up to 17000 RPM.Use DryContinuous..
Dewalt DW03540 40T 125mm TCT Wood Working BladeBurr free aluminum cuttingModified ATB tooth geometry provides clean, burr-free cutsExpansion slots dissipate heat which extends blade lifeSpecifications : Size - 5inch 125mmTeeth - 40 teethType - T..
Escon 4" Slotted Diamond Blade for concrete cutting ..
Hitachi TCT Circular Saw Blade 125mmDescription :It is a tool consisting of a hard blade, wire, or chain with a toothed edge.It is used to cut through relatively hard material.Features :Type : Circular Saw BladeDiameter : 125 mmThickness : 1.5 mmBore..
Hitachi TCT Circular Saw Blade 185mm Hitachi Circular Saw Blade 185 x 30 x 18 Tooth TCT with 2.6mm kerf suitable for cutting wood. 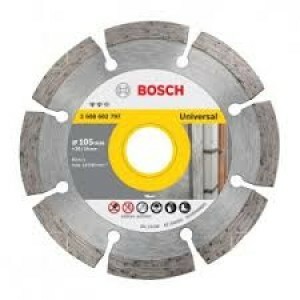 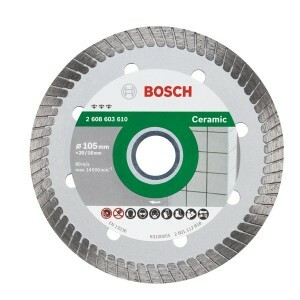 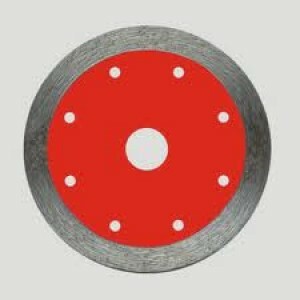 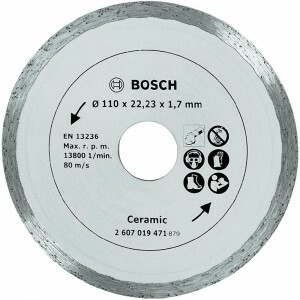 Max roDescription : Diameter: 185mm ,Teeth: 24 ,Kerf: 1.8mm ,Bore: 20.0mmTechnical Details :Item Weight ..
Bosch 4inch Diamond Cutting wheel continuous rimBosch Diamond Cutting Disc 105mm Used for cutting Concrete, Marble, Granite, Cellular concrete, Clay Brick, Plaster, Wall chasing, Pumice, Gypsum, Eternit, Sand lime brick, Sandstone, Natural slate, ..
Bosch Diamond Cutting Disc 105mm Used for cutting Concrete, Marble, Granite, Cellular concrete, Clay Brick, Plaster, Wall chasing, Pumice, Gypsum, Eternit, Sand lime brick, Sandstone, Natural slate, Artificial stone, lime flooring Feart..
Bosch 4inch Diamond Cutting wheel for vitrified tilesBosch Diamond Cutting Disc 105mm Used for cutting Concrete, Marble, Granite, Cellular concrete, Clay Brick, Plaster, Wall chasing, Pumice, Gypsum, Eternit, Sand lime brick, Sandstone, Natural sl..
Rbk, 75Mm Grooved Wheel ..
Bosch Carbide Multi Cutting Wheel 110x20mm Applications :To be used with 4inch Angle grinders or tile cutters for cutting Wood, plastic, Plaster boards, Concrete residues, Fibre glass & wood nails Dry cutting wheel made with carbide c..